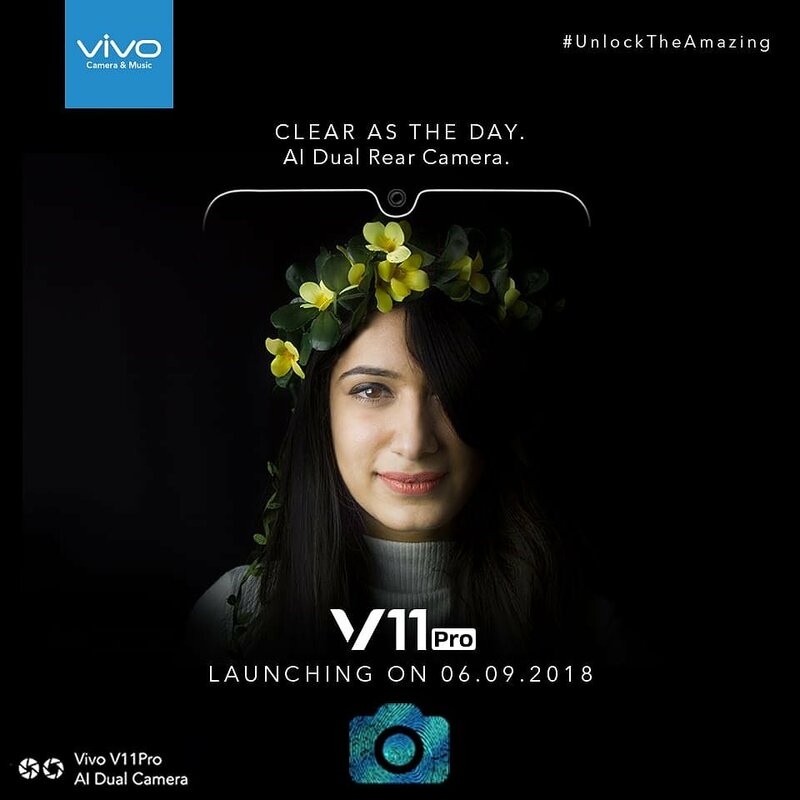 Vivo is going to launch it's next Flagship smartphone Vivo V11 Pro in India on September 6 and it will be a great smartphone with high end features and futuristic design. As you all know, Vivo is doing very futuristic things these days, like In-Display Fingerprint Scanner and Phone with highest screen-to-body ratio without any notch, sliding camera etc. So, we are expecting something like that by Vivo in Vivo V11 Pro also. It is confirmed that it would have In-Display Fingerprint Scanner and a small notch on the top which company says Halo Full View Display. It has an Hashtag of #UnlockTheAmazing. Some of its features are leaked, Lets have a look at them. The leak says that Vivo V11 Pro will have a 6.11 inch Full HD Display, 12MP+5MP Dual Rear Camera, 6GB RAM and 128GB of Internal Storage. Talking about its Processor, it would have Snapdragon 660 SoC which is a very Fast Processor. But it is the Processor for Mid-Range Budget Oriented Devices, If Vivo gives Snapdragon 660 in Vivo V11 Pro then Vivo should launch this phone under Rs.25,000 because Xiaomi is giving Snapdragon 845 in only Rs.21,990 in Poco F1 which is a mind-blowing Smartphone according to Specs. Vivo V11 Pro would have 3400mAh Battery says leak. I am very excited for this Smartphone because Vivo gives its smartphone a very unique and Glossy look because of which Vivo Smartphone looks very Premium. What about you ? 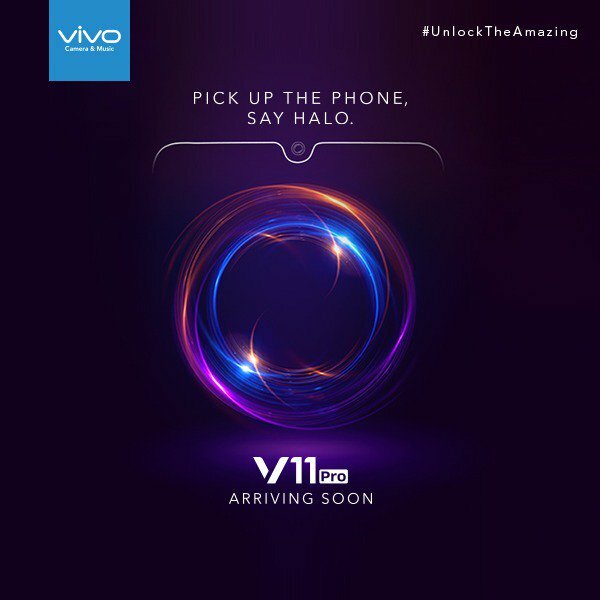 Are you also excited for Vivo V11 Pro ? Share your opinion via Comment.